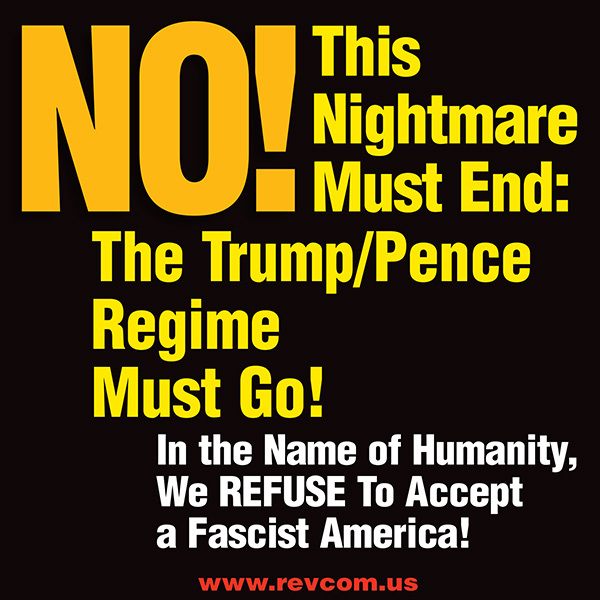 The Trump/Pence regime and their Republi-fascists in Congress are moving rapidly to implement major elements of the program of the Christian fascist movement, including the banning of abortion. Both the House and Senate versions of the new tax bill will contain language which would, for the first time, enable the setting up of special savings accounts for future college expenses, known as 529s, for an “unborn child.” The unscientific term “unborn child” is part of the language used by Christian fascists in their attack on abortion, under the false justification that terminating a pregnancy means “killing” a baby. What they call an “unborn child” is, in fact, a fetus. A fetus is not a baby, and abortion is not murder. The House tax bill says at one point, “Nothing shall prevent an unborn child from being treated as a designated beneficiary or an individual under this section. The term ‘unborn child’ means a child in utero. The term ‘child in utero’ means a member of the species homo sapiens, at any stage of development, who is carried in the womb.” The term “at any stage of development” echoes the language of the anti-abortion forces who want to overturn Roe v. Wade, the Supreme Court decision that made abortion legal. They want to define life as beginning from the moment of conception and to establish full “personhood rights” for fetuses. This would criminalize abortion under any circumstance, and ban many forms of contraception. And without the right to abortion, women cannot determine for themselves when and whether they will bear a child—they cannot determine the course of their own lives. Trump’s Department of Health and Human Services (HHS)—packed with anti-abortion extremists in the mold of Mike Pence—is making similar changes. The HHS, responsible for U.S. public health policy, recently released a draft of its strategic plan, which describes its mission as protecting “Americans at every stage of life, beginning at conception.” It also erases any reference to LGBTQ people, mentions “faith” or “faith-based” organizations more than 40 times, and uses other language of the anti-abortionists. 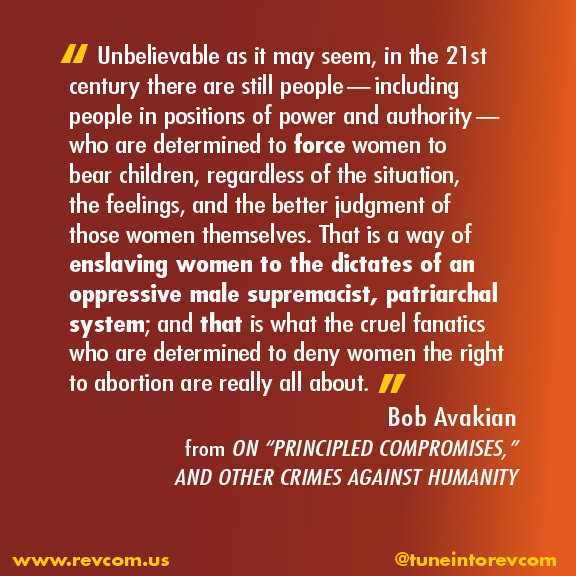 Unbelievable as it may seem, in the 21st century there are still people—including people in positions of power and authority—who are determined to force women to bear children, regardless of the situation, the feelings, and the better judgment of those women themselves. That is a way of enslaving women to the dictates of an oppressive male supremacist, patriarchal system; and that is what the cruel fanatics who are determined to deny women the right to abortion are really all about. The Christian fascist movement is now more powerful than ever with the Trump/Pence regime in power, and they are hell-bent on achieving what BA speaks to in this statement above. Mike Pence declared early in the presidential campaign that if he and Trump reached the White House, “We’ll see Roe vs. Wade consigned to the ash heap of history where it belongs.” The House and Senate are dominated by the same Christian Fascist movement. Including this Christian fascist anti-abortion language in the tax law indicates how far the Christian fascists have gotten—and the even more radically reactionary changes they are pushing for. 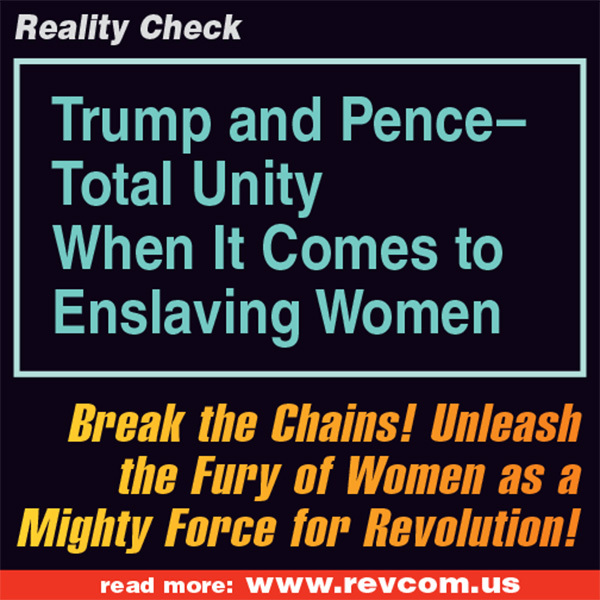 It is urgent to battle this drive to “enslave women to the dictates of an oppressive male supremacist, patriarchal system” as part of the movement to drive this fascist regime from power.